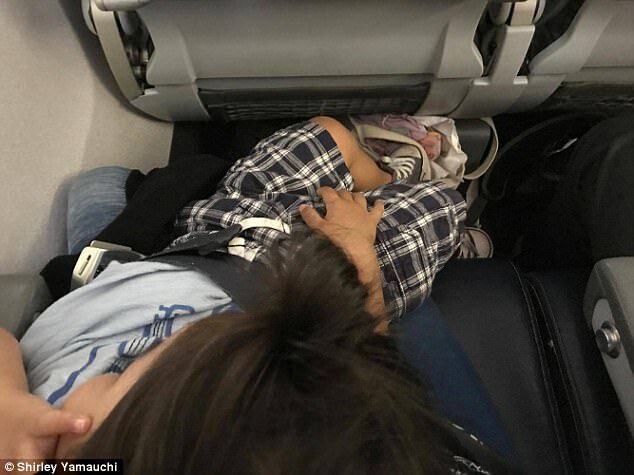 Shirley Yamauchi, a teacher from Hawaii and her 25lb son were forced to endure a three and a half hour flight together- in just one seat- after a United Airlines stewardess informed her the seat she purchased for $1,000, three months earlier, was given to someone flying standby FOR $75 DOLLARS! Yamauchi had bought the tickets for a teachers conference in Boston and purchased the ticket for her son Taizo because children over the age of two are required to have their own seat. While sitting on the plane in Houston, the flight attendant came to check if Taizo was present. He was, of course, but for some reason, the airline went ahead and sold his seat to someone else. (Is anyone else tired of the constant airline problems?) 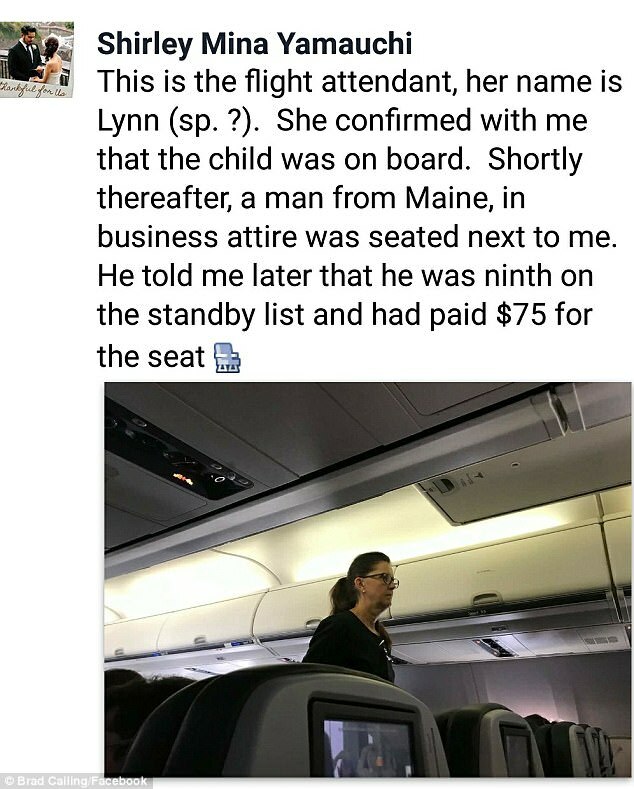 When she told the flight attendant about the problem, the woman just shrugged, said the flight was full and walked away. “I started remembering all those incidents with United on the news. The violence. Teeth getting knocked out. I’m Asian. I’m scared and I felt uncomfortable. I didn’t want those things to happen to me. United issued an apology to the #1 tennis player in the world, Zhang Shuai after an argument with a United customer rep who refused to allow Shuai on with her tennis racket. The rep actually TORE UP her boarding pass- in front of her. United issued an apology to Henry Amador-Batten, a gay father, who was flying with his son to their North Carolina home when he was accused of inappropriately touching his son. Hey United- when are you going to get your act together? REALLY? Daily Mail, July 5, 2017.